Greater Portland Hillel ("PDX Hillel") is a college-based organization that serves Jewish students from all around the Portland area, and primarily serves the campuses of Portland State University and Lewis & Clark College. While each campus has its own distinct personality and Leadership Board, Hillel is the only student-run organization that has the ability to connect students on multiple campuses through Jewish, cultural, and social justice programming. Hillel programs are open to all students. 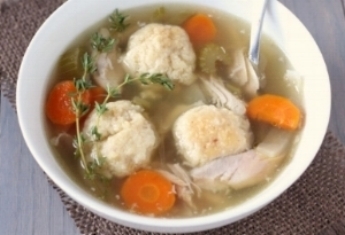 Parents, grandparents, relatives or friends can order a Lewis & Clark student a warm bowl of matzo ball soup, for a touch of home away from home. Soup will be delivered by a Hillel staff or intern directly to your student on campus. Whether it be a Passover Seder, a game of dreidel, or gathering leaves to build a sukkah, PDX Hillel knows how to celebrate Judaism's vibrant traditions. Holiday events are held both on campus as well as in the greater Portland community. PDX Hillel students look forward to a meaningful Shabbat service and homemade dinner. With a guitar and familiar tunes, students gather for a brief service, and then enjoy a dinner prepared by student chefs. Shabbaton are held both LC and PSU campuses - please check calendar for specific locations and times. Lewis & Clark and Portland State University students meet almost weekly for casual conversations on various topics and relationship building in a casual atmosphere, on their respective campuses. In addition to the feast of bagels, a group discussion about relevant topics is held, led by either a Hillel professional or the students themselves. Please check our event calendar for the location of Bagel Breaks (LC), Hummus & Chill (PSU), and Schmooze & Jews (PSU).